Outside of the Western democratic world, it is often an unfortunate fact that abundant resources and lack of fundamental institutions condemn a nation to despotic or even tyrannical rule, often by a military junta or relentless dictator. It is a curse which befalls the oil and mineral states of Saudi Arabia, Zimbabwe, Uzbekistan, and Uganda, but nowhere is that more the case than in Myanmar, formerly known as Burma, still one of the most isolated countries on the planet today. Situated between China and India in southeast Asia, Burma has been ruled by a mixture of socialist and military governments since a ruthless coup d’état by General Ne Win in 1962. He ruled for 26 years as head of state, and left an indelible impression upon a country which has been deprived of democracy and any meaningful relations with the West ever since. 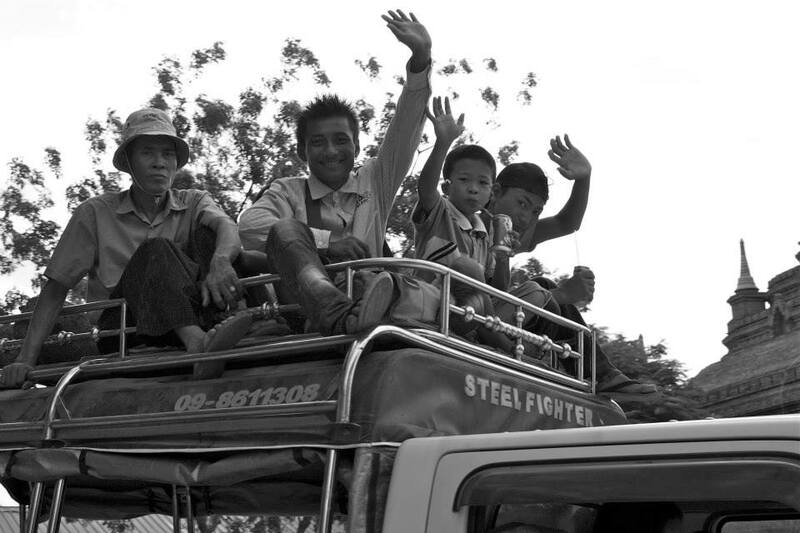 I recently took a trip to Burma, armed with a notepad, an iPhone with a camera, and a curious mind. I wanted to explore the place that George Orwell, himself a British soldier stationed in Burma, equally romanticized and disparaged in Burmese Days. I wanted to tell the tale of the nation that shunned the expansion of international trade, put down its many significant religious and ethnic minorities, and preferred to turn in on itself to find its way. Naturally, visa requirements forbid foreigners from entering the country as journalists. So as far as official documents are concerned, I was nothing but a student, ready to vacation and spend money in Myanmar’s liveliest cities. 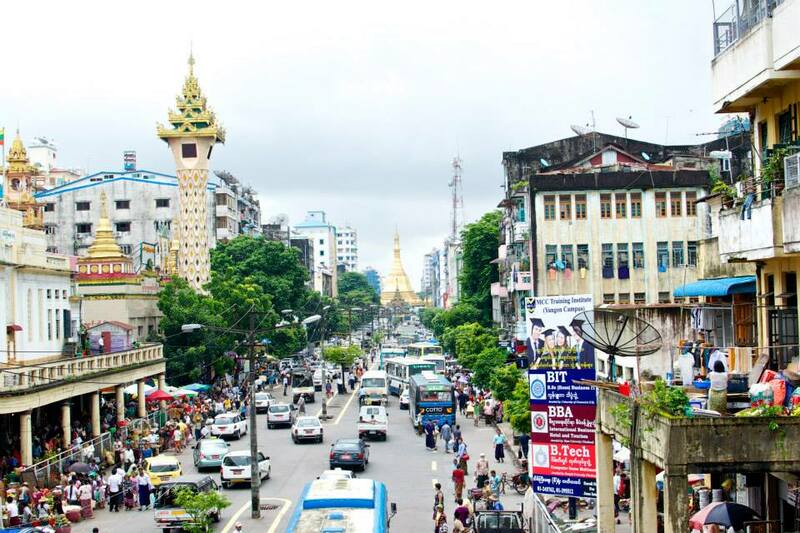 Upon landing in Yangon, the capital city, one of the first things I learned was that the military regime was keen to change things it saw as a threat to its rule. In 1970, reportedly due to premonitions from his astrologer, General Ne Win ordered all traffic to drive on the right side of the road, despite the universal presence of left-handed cars. In today’s age, this makes passing cars and turning left an especially risky venture on Myanmar roads. After democratic uprisings spread in 1988-1989, a new leading military junta crushed the opposition protesters and seized control after Ne Win’s resignation. They changed the name of the country to the “Union of Myanmar” and the capital city from Rangoon to Yangon, ridding the nation of its British colonial past. Apart from symbolic government decrees, any visitor to Burma will immediately notice how much Buddhism shapes the surrounding culture and society. 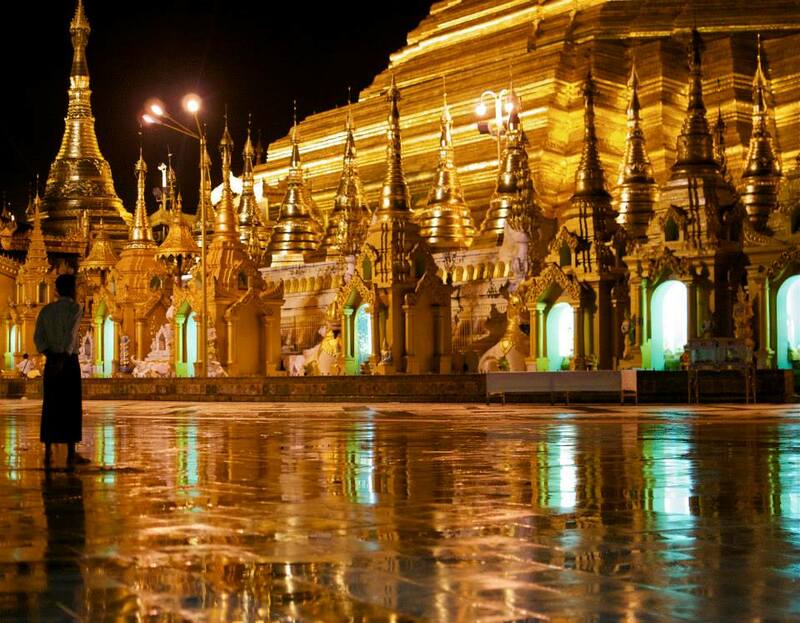 The highly pious Burmese make very public displays of devotion to Buddha, and encourage Westerners to visit the holy temples, often filled with decadent statues and figures encased in pure gold. For a nation with an average annual income of just over $1000, the daily worship of towering golden Buddhas adds to the mystery and allure of a country rich in history and culture but deprived of significant economic development for its people. Monks both young and old roam the streets looking for tokens of goodwill from local shops and homes, earning a few thousand Myanmar Kyat ($1 or more) or receiving a meal or snacks from devout business owners. The monks are considered sacred, and each meal they consume is a holy occasion. Small rituals with plates and dishes are ordinary occurrences once a monk enters an eating establishment. 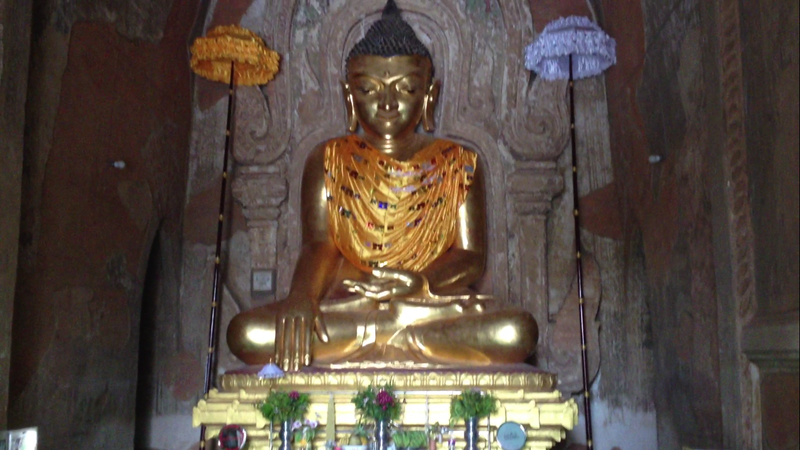 A golden Buddha in the temple city of Bagan. This Buddhist outlook on life leaves the Burmese very jovial and ethical in their interactions with foreigners and each other, erasing mistrust in situations were it would normally run rampant. They are all too eager to allow Westerners to try things without paying first, whether it is food, a bike rental, or an all-day carriage ride in an old part of town, relying on mutual honesty which is almost suspect in Anglo-Saxon society. In the ancient temple city of Bagan, in the center of the country, locals proudly welcome visitors to the 2,000 remaining pagodas, a nostalgic reminder of what can be accomplished in the name of peace and piety. 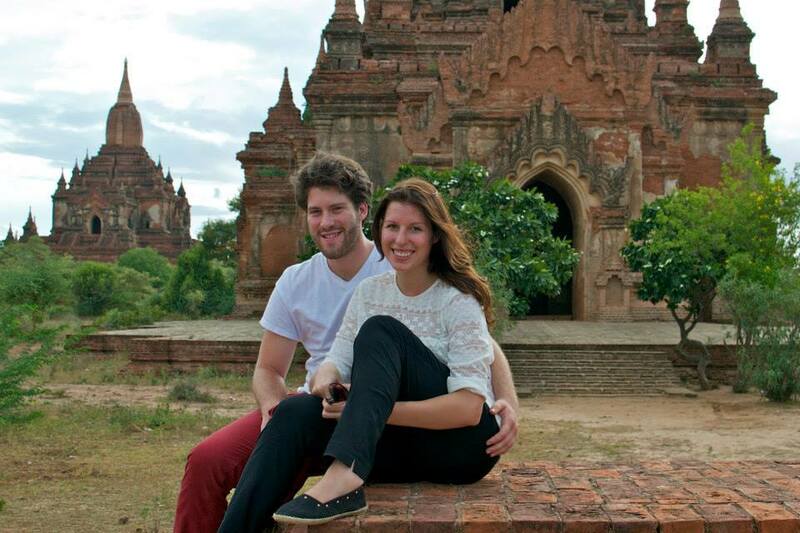 Yaël and Melanie among the ancient temples of Bagan. Each year, thousands of barefoot Western tourists make their way through the halls and stairways of temples dating back to the 11th and 13th centuries, presenting a very different view of a country still struggling to sprout as a popular democracy. The first democratic election in Burma took place in 1990, handily won by the National League for Democracy. The party was headed by Aung San Suu Kyi, the Western-educated daughter of Aung San, an anti-colonial hero who remains a revered representative of independence to many hopeful Burmese. Shortly after the election, the military junta deemed the election results null and void, forcing opposition leaders into exile, retaking control of the country and putting Aung San Suu Kyi under house arrest. She remained there for nearly 20 years, inspiring millions of her fellow Burmese and a growing audience of concerned Westerners with a human rights agenda. She received the Nobel Peace Prize in 1991 for her staunch refusal to give up her quest for Burma’s freedom. In small villages and towns on the way to Bagan and Mandalay, I saw tiny huts and offices run by the National League for Democracy, hoping to inspire some hope of popular government that would rid the nation of its military rulers. Since 2011, the military-led government has signaled it would transition to representative rule, perhaps due to increased economic pressure from the West. A civilian government headed by President Thein Sein was installed in 2011 after an disputed election mired with allegations of fraud. Such notable U.S. figures as former Secretary of State Hillary Clinton and President Barack Obama have visited Burma since 2011, giving legitimacy to the government which is still largely accused of violating human rights and oppressing minority groups. And with more open economic reforms may come reforms which favor the protection of individuals from coercion and arbitrary violence. At least that is what local Burmese would whisper to me in confidence, carefully avoiding detection by the police forces which aim to extinguish dissent. Much like in other developing nations, it will be up to the young people to create the environment for peaceful, democratic rule. The ideals inspired by Aung San Suu Kyi will continue to resonate throughout Burma, and may one day give way to freeing the ancient land from the chains of autocracy. I described my experiences throughout Myanmar on the latest episode of my podcast Liberty In Exile. Listen here. This post originally appeared on The Stateless Man.